The smell of baking bread is a smell like no other. The only thing that might match the comfort and deliciousness of the smell that permeates your home as you bake bread is possibly the smell of cooking onions. If you make these rolls, your home will both smell like cooking onions and baking bread, all in the same day! The same one hour period even! These bread rolls are delicious. Each bite has that savory sweet goodness of the caramelized onion and the satisfyingly tangy salty olives. It’s also one of the easiest bread recipes I’ve used. There’s less than an hour of total rising time, and less than 10 minutes of kneading! I shaped my rolls into these cute twists, but you could use any shape, even just simple rolls. 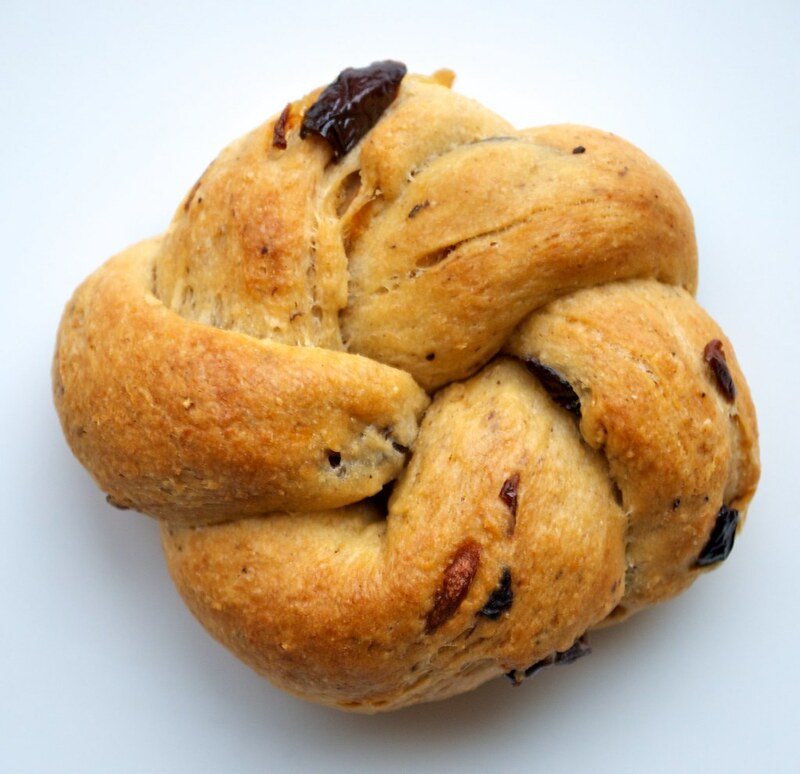 I recommend using some extra caramelized onion and chopped olives for garnish if you’re going for a simpler roll shape, but they’re rather colorful rolls as they are, studded with olives and browned onion. This recipe is dedicated to my mom and her love of olives. Happy birthday mom! Thanks for teaching me to love cooking and good food. 1. Drop the tsp of vinegar into the warmed milk, let sit for 5-7 minutes. 2. Mix the 1 cup of flour with sugar, salt, and yeast. Stir in the warmed curdled milk, prepared egg replacer, and olive oil. Beat until smooth. Set aside somewhere warm for 20 minutes to rise. 3. 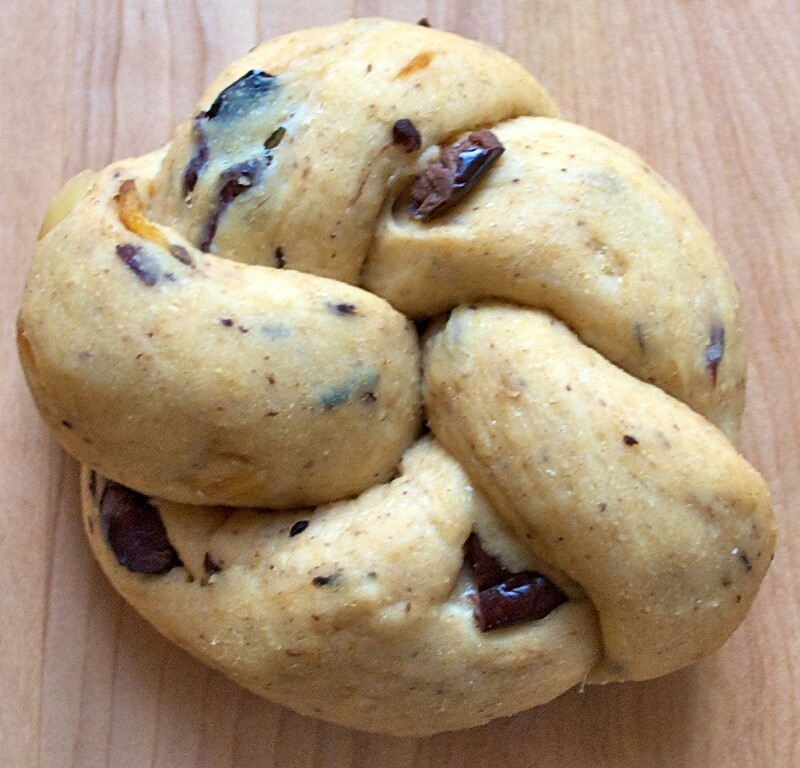 Mix in the remaining flour, the olives, and caramelized onions. 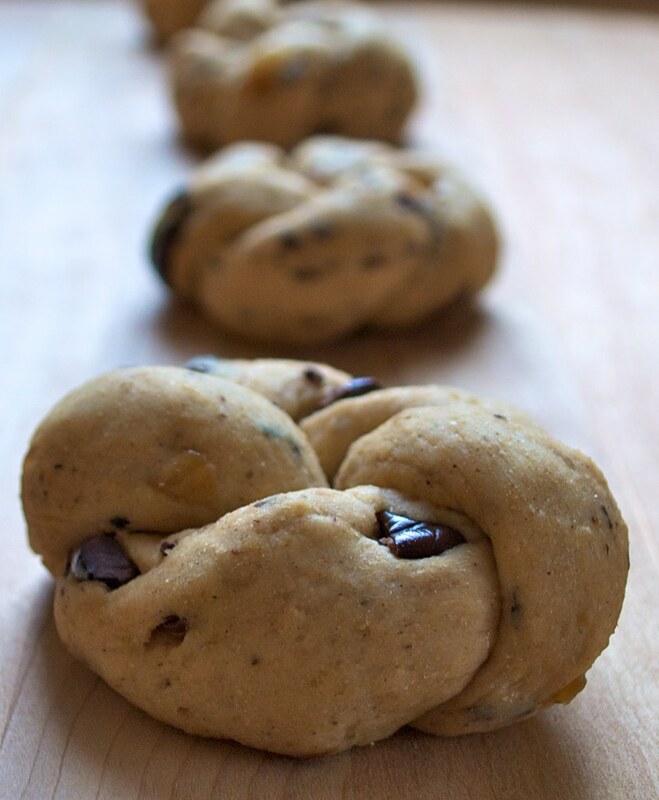 Turn onto a clean floured surface, and knead until smooth and elastic, 5-10 minutes. Add more flour to the surface as necessary while kneading. 4. Divide in 16 equal pieces. Tip: divide in half, then each half in half, and so on until there are 16 pieces. Cover pieces before shaping so they don’t dry out. Voila! 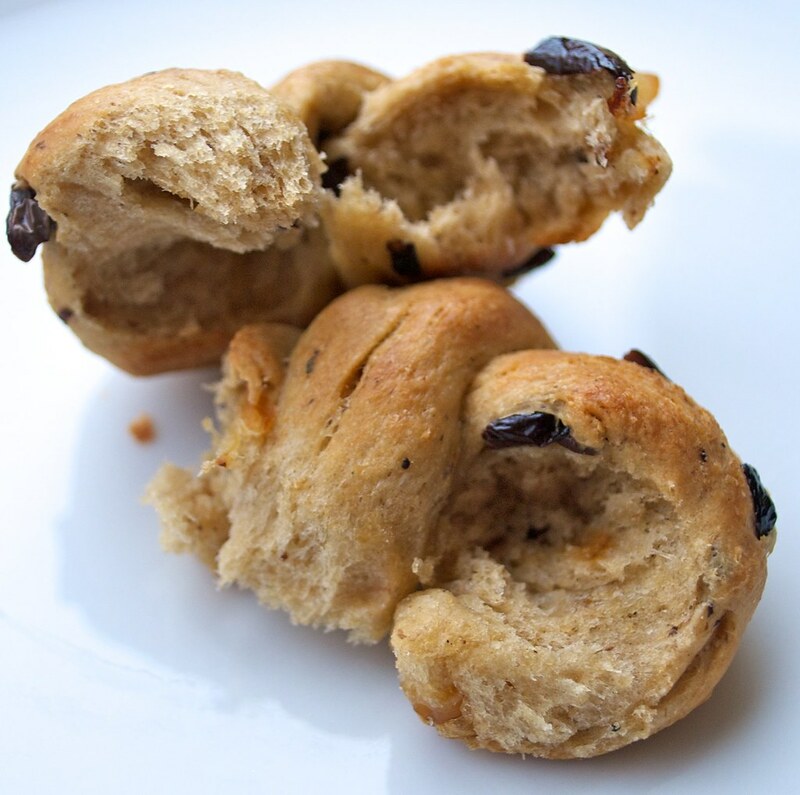 You have your cute little knotted rolls! Set on a greased baking sheet, and cover while shaping the rest of the rolls. 6. Preheat oven to 375 ºF. Meanwhile, let the bread rise for 15-20 minutes, until doubled in size. 7. Brush the tops with olive oil. 8. Bake at 375 ºF for 15-20 minutes, until golden brown. 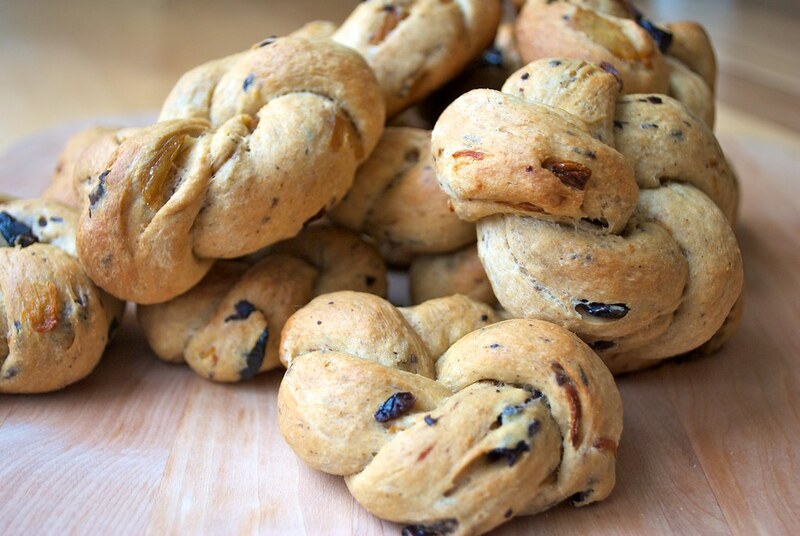 This entry was posted in bread and tagged bread rolls, caramelized onions, olives, recipe. Bookmark the permalink. The rolls looks so gorgeous and sounds so yummy! I love step by step tutorial of how to do it. I definitely have to try this soon. These look amazing and I can almost taste them! I love kaiser roll style shaped bread rolls. So pretty! Thanks! Me too!! I’ve been eating like 4 a day of these. At that rate they really don’t last very long. i wish you could send me one in the mail!!! I waaaaannnnnnnt one! stay put for long enough and I just might! Bravo, these little breads look fantastic, and I love the fact that they are vegan. I’ll put a link toward them on my nearest Weekly Bread post (published on Monday Oct. 4 on VotrePain.com). Awesome rolls! Happy birthday Jennifer! 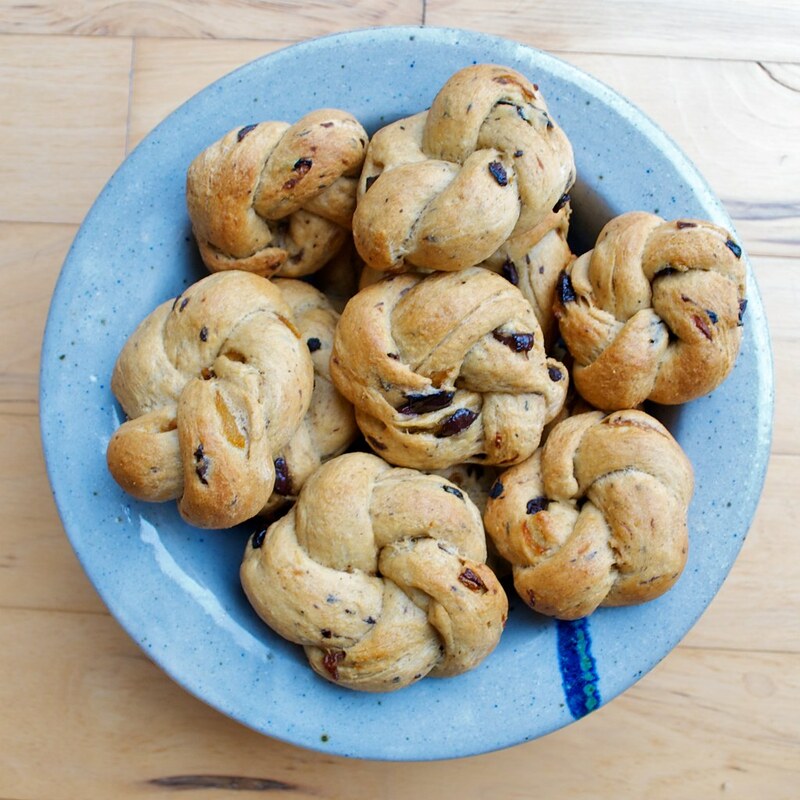 These look great, I just made your braided pesto braid last weekend and it turned out amazing, so I will have to try these! Hi Jen! Glad to hear you liked the pesto bread 🙂 I hope these work out for you too! How did I overlook this recipe! SO GOOD! Just found your blog, love it! Keep it up! Thanks Marcos, you could always make these with just the onions and no olives if you’re not an olive fan! Sure Eva, I’ll give it a go without the olives, but the wife realy like them, so I’ll have to cook her a batch! Just made these for an early vegetarian thanksgiving dinner and they were great! I’m glad you enjoyed them! They would make a great thanksgiving roll, hm.. I made these tasty rolls a while back and posted them on my blog here. I did make them in an omnivore version with milk and eggs though! They were a dense roll. Are they supposed to be that way or is it a result of my substitutions, or just a general preparation error on my part. They were tasty just the same and loved by my non olive loving child! Thank you for sharing the recipe. I am definately gonna make them again.